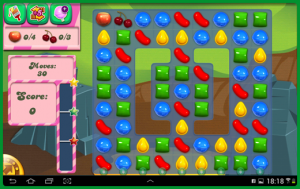 Download & install Candy Crush Saga for Nokia X, XL and X+ without root. Download & install Cndy crush saga for Nokia X, X+ and XL: after Nokia launched its android based smartphones many of us think that Nokia has switched from Windows to Android. But it’s not true. Nokia latest smartphones are just android based and after root one can use Google play store as app store. But most of time rooting voilates your device warranty and can cause harm to internal memory. So, in this post I will tell you about how to download and install Candy Crush Saga (one of the best game of android) on Nokia X, XL and X+ without root. Though Nokia developers claim that their latest smartphones supoort most of the android apps but this is not true. Many of the users have complaints that they are not able to play some of the common apps like whatsapp or facebook massenger etc. Also games like Candy Crush Saga, Subway Surfers are incompatible. READ HOW TO DOWNLOAD AND INSTALL WHATSAPP FOR NOKIA X, XL AND X+. Most common problem is that error message “ Sorry your device is not supported”. This doesn’t mean that you cannot play Candy Crush Saga in your nokia smartphones. Here are some of the best alternatives so that you can download and install Candy Crush Saga on your Nokia X, XL and X+. You don’t need to download the app from Nokia store. 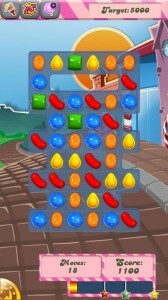 Just follow the methods given and enjoy playing Candy Crush Saga. First method involves downloading and installing Candy Crush Saga using apk file. In second method you came to know about a third party app store from where you can download and install Candy Crush Saga. 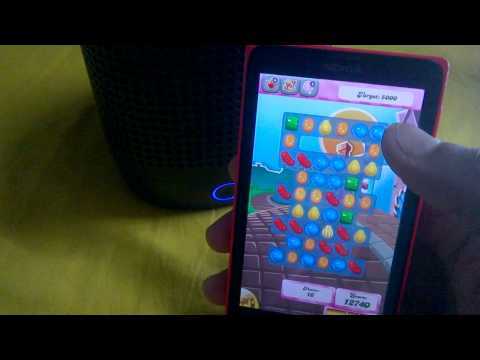 Tutorial to download & install candy crush saga for Nokia X, XL and X+. Read both the methods very carefully and adopt which one suits you the best. Method 1: to download & install candy crush saga game for Nokia X, XL and X+. Search for Candy Crush Saga apk file on internet. Alternatively you can download candy crush saga apk file from link given below. Download that file to your mobile or your computer. If you have downloaded apk file in computer transfer it to your Nokia X, XL and X+ smartphones. Search for Candy Crush apk file in your smartphone. Click on the apk file, your Nokia smartphone ask for its installation. Install the apk file in your smartphone. Once installation is complete you can play Candy Crush Saga. Sometimes app installation from unknown sources is blocked by the developers. You can unblock it by click on settingsàallow installation from unknown sourcesà Ok. Method 2 to download and install Candy Crush Saga on Nokia X, XL and X+. Though you can download and install candy crush saga from nokia store but many times it happens that while trying to play it shows some error message like not compatible or couldn’t play. So here is the alternative. As you know your Nokia X, XL and X+ supports many third party app store, you can download and install candy crush saga like this also. One can use 1 mobile store to play candy crush saga on Nokia smart phones. Install 1 mobile store market app to your Nokia x, xl and x+. After downloading 1mobile store launch the app store in your smartphone. Search for candy crush saga game in app store search box. Many times your device won’t allow you to download and install app from unknown sources. To unblock this feature go to Settings > Unknown Sources and press OK. This will allow you to install files from unknown sources. As you click on first link downloading will start automatically. It will install Candy Crush Saga game on your Nokia X, XL and X+. Once installation is complete run the app and enjoy the game. Hope methods given above will work for you. Still I advised you to try downloading and installing Candy Crush Saga first from Nokia store. If it doesn’t work you can go for alternative methods. DOWNLOAD CANDY CRUSH SAGA GAME APK FILE FROM HERE. WARNING: DOWNLOADING APK FILE FROM UNKNOWN SOURCES COULD DAMAGE OR CORRUPT YOUR MEMORY AND ALSO CAUSE THREAT TO YOUR DEVICE SECURITY. SO DOWNLOAD APK FILE FROM TRUSTED SOURCES ALWAYS. For any query or problem feel free to ask by commenting below. Previous articleHow to recover/remove password from micro sd memory card.